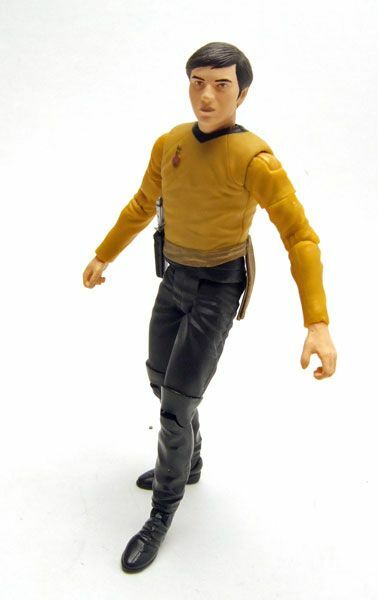 DST released this Chekov as part of it's Comic-Con 2006 Exclusive "Mirror, Mirror" wave of figures. 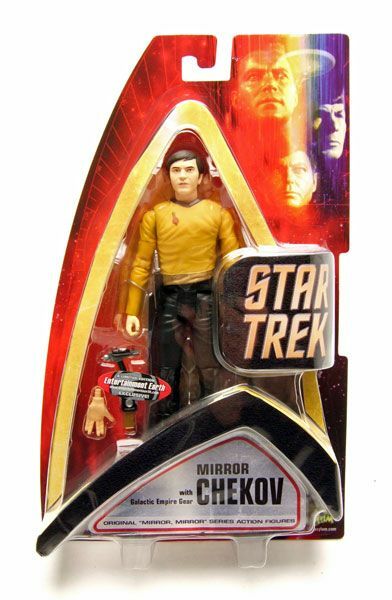 Chekov was released through Entertainment Earth. 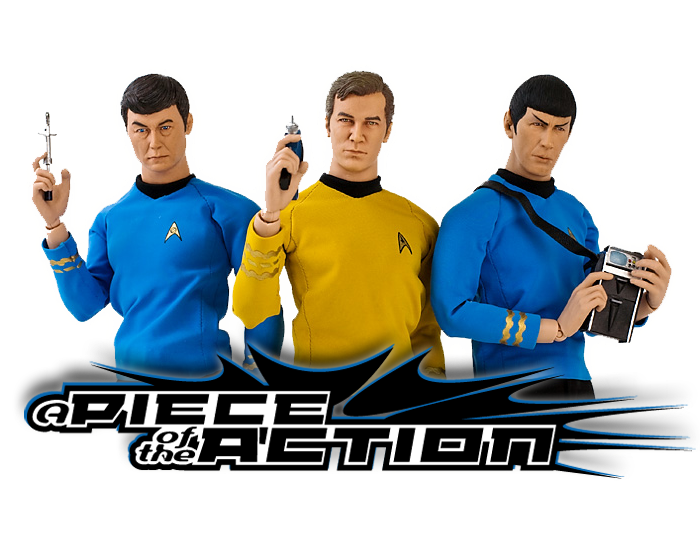 Just like the other Comic-Con Mirror figures, Chekov is composed of mostly reused parts. They work just fine here so no big deal on the reuse. Oh, and DST gave him the tall boots, so big ups for that! The head sculpt is the same as the original AA figure. As I said in my regular Chekov spotlight, I feel this is probably the weakest of the AA heads. 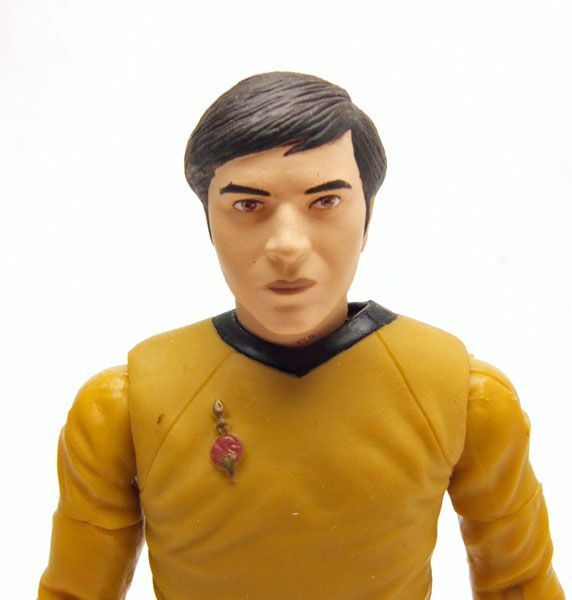 The head just doesn't seem to capture Chekov's character that well since it's so somber looking. It actually works a bit better here since we're looking at a much less cheerful Chekov. Chekov has a new rubber shirt here to fit the Mirror Universe costume. 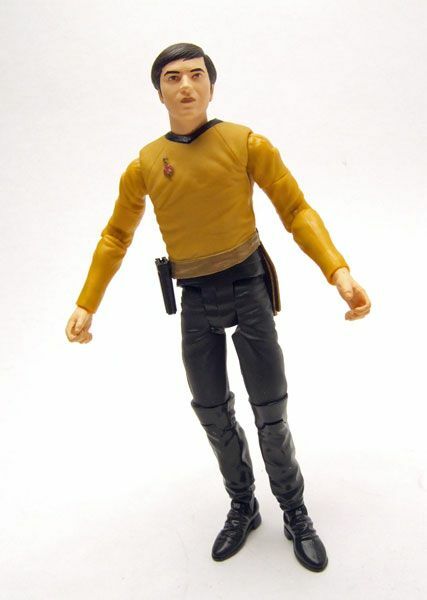 The sculpt is well done, though it does ride a little high on Chekov's left side. 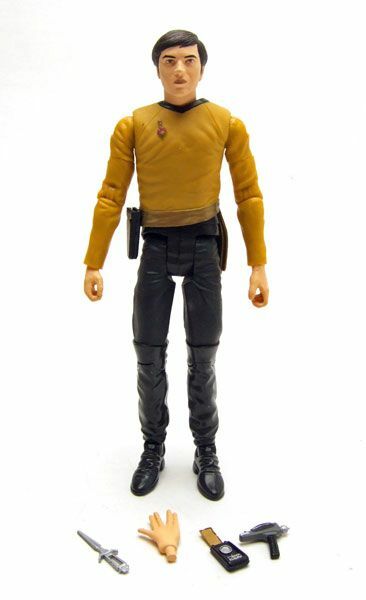 DST used a slightly darker yellow here than on the regular Chekov, which really helps the figure have a more menacing appearance. 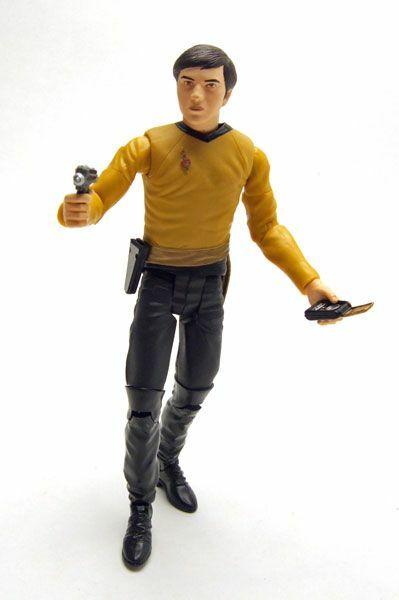 Accessories: Chekov includes his dagger & sheath, a phaser, a communicator, and the inexplicable Vulcan salute hand. 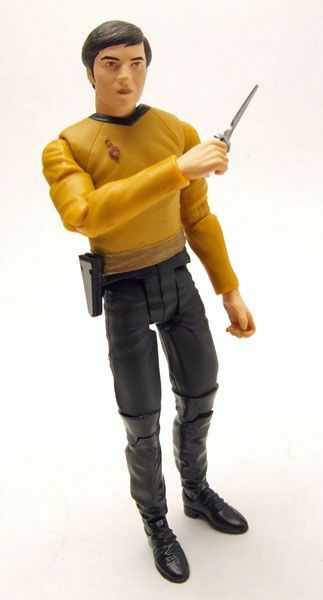 Chekov is a pretty solid figure that's essential to any Mirror Universe crew display. No major complaints on this one, and the price is still right! You can still snag him for the original retail price of $14.95 over at Entertainment Earth.